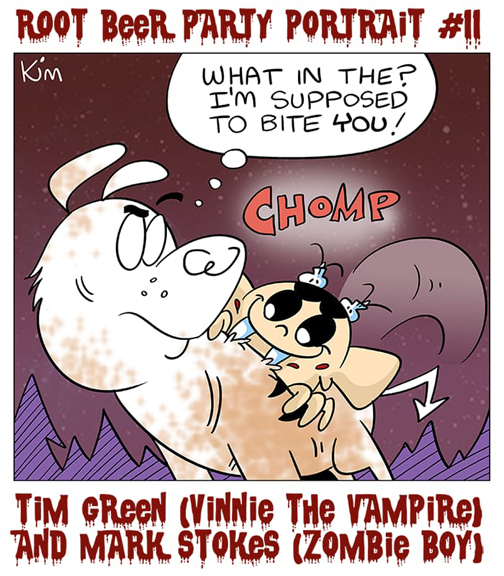 I was treated this Halloween season with this superb illustration of Gorr and Tim Green‘s rambunctious Sunny by the talented and prolific cartoonist, Kim Belding. This drawing is from a series created by Kim for the Root Beer Party, a tried and true Facebook group filled with super talented creators. You can see more of Kim’s work at Picpak Dog. Thanks, Kim!